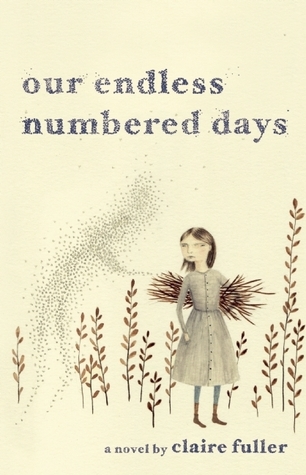 Today I'm featuring Our Endless Numbered Days by Claire Fuller, which I borrowed from the library. This morning I found a black-and-white photograph of my father at the back of the bureau drawer. He didn't look like a liar. My mother, Ute, had removed the other pictures of him from the albums she kept on the bottom shelf of the bookcase, and shuffled around all the remaining family and baby snapshots to fill in the gaps. The framed picture of their wedding, which used to sit on the mantelpiece, had gone too. Page 56: "When I had finished the tea, she guided me back to my classroom, her hand on my shoulder, both caressing and propelling me forward. She took Mr. Harding aside and had a whispered exchange with him; his expression moved from boredom to shock to a crinkled face of sympathy when he glanced at me, waiting at the front of the class." My thoughts: I can't help but embrace this young narrator, who is experiencing the break up of her family. I am interested in knowing more about her and her situation. 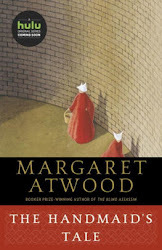 From Goodreads: Peggy Hillcoat is eight years old when her survivalist father, James, takes her from their home in London to a remote hut in the woods and tells her that the rest of the world has been destroyed. Deep in the wilderness, Peggy and James make a life for themselves. They repair the hut, bathe in water from the river, hunt and gather food in the summers and almost starve in the harsh winters. They mark their days only by the sun and the seasons. Friday Focus: The Friday 56 & Book Beginnings #87 was originally published by Catherine for bookclublibrarian.com. This post cannot be republished without attribution. Retweeting and sharing on Google+ are encouraged and appreciated.